The Morganville Vampires are New York Times and USA Today bestsellers and have sold in Brazil, Bulgaria, the Czech Republic, Denmark, France, Germany, Hungary, Italy, The Netherlands, Poland, Portugal, Romania, Russia, Spain, Sweden, Thailand, Turkey, and the United Kingdom. 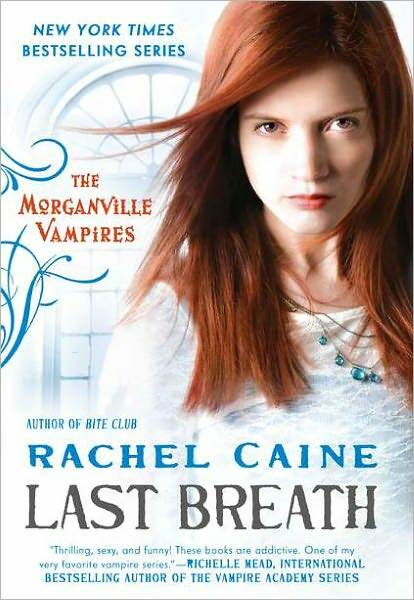 In LAST BREATH, Claire and the other residents of the Glass House discover that some of the vampires of Morganville are disappearing, which pretty much defines NOT GOOD. Nothing that can take on or take out a vampire bodes well for the human population, a fear that’s proven startlingly accurate as the danger becomes startlingly and crystal clear.